Which game publishers released the best games last year? For the eighth consecutive year, we have sifted through 12 months of data to determine the best and worst game publishers of the year, based solely on the quality of their 2017 releases. Sales and user reviews do not factor into these rankings; only critic reviews (as captured by each game’s Metascore) are used to evaluate performance. We divided publishers into two separately ranked groups, based on the number of titles released during the previous calendar year. Our first group consists of the biggest companies, who each published 12 or more distinct titles (with Metascores) during 2017. The remaining “mid-size” publishers, detailed further down the page, each released between 6-11 distinct titles last year. Publishers with 5 or fewer Distinct Titles are excluded. The Maryland-based publisher (best known for the Fallout series) tends to score well; two years ago, Bethesda was our top-ranked mid-sized publisher. But 2017 saw Bethesda release enough titles to qualify for our “major” publisher category, where it outscored its competitors to take the #1 spot on our chart. The publisher increased its Metascore average by more than six points compared to its 2016 slate thanks to a well-received new entry in the Wolfenstein franchise, a reboot of Prey, a strong Evil Within sequel, and various releases in the Elder Scrolls series. In all, 91% of the company’s 2017 products were positively reviewed—the best rate for any publisher. Like many of the other majors, however, Bethesda failed to launch any new IP last year. Nintendo once again released more distinct titles than any other publisher, while somehow managing to boost its average Metascore (and overall ranking) above the already admirable figures for the year before. 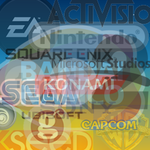 The gaming giant was also the only publisher to achieve a 90+ score for three different titles in 2017. That group includes new Mario Kart and Super Mario installments as well as our 2017 Game of the Year, The Legend of Zelda: Breath of the Wild. All three of those games were released for Nintendo’s new Switch console—a massive hit that managed to out-sell its predecessor, the Wii U, in less than a year. In fact, Nintendo’s Metascore average for its Switch releases was 80.0, compared to an average of 75.5 for its 3DS games. Our #1-ranked major two years ago only to drop into the mid-sized group the following year, Sega returned to the majors this year with a larger slate of releases (even without including games published by the recently acquired Atlus, which continues to be run as a separate company). A belated PC release of the 2009 hack-and-slash game Bayonetta was the venerable Japanese publisher’s biggest 2017 highlight—along with the well-received Sonic throwback Sonic Mania. But another 2017 Sonic game, Sonic Forces, was much less successful with reviewers. Activision Blizzard jumped up three spaces on our chart by ditching the movie tie-in games that weighed down its score the prior year. The publisher focused on its core franchises—namely Destiny and Call of Duty—and managed to receive positive reviews for 70% of its products (up from just 45% in 2016). As always, the Blizzard-branded games performed better than the Activision ones, with the former averaging 80.5 (though that’s actually a “bad” year for Blizzard compared to recent history). But while critics may have approved of the bulk of Activision’s 2017 releases, Metacritic users certainly did not. They hammered most of the publisher’s games in their ratings, liking only a Crash Bandicoot compilation. Why all the hate? Activision’s recent financial results reveal one clue: the company made a whopping $4 billion in loot crate sales and other microtransactions last year. A new HD remaster of the decade-old game Okami and a strong new release in the Resident Evil series helped Capcom reverse a 2016 slide and boost its average Metascore by over five points in 2017. What stopped the company from rising even higher in our rankings? Some lackluster Resident Evil re-releases (a recurring problem for Capcom) and a critical and commercial dud in Marvel vs. Capcom: Infinite. Maybe it was the change in logo. Or perhaps it was the return of the Assassin’s Creed franchise to consoles after a year off. But for the first time since 2015, Ubisoft didn’t come in dead last in our major publisher list. Other highlights last year included the belated arrival of South Park: The Fractured But Whole and the semi-successful (at least score-wise) launch of a new property in the form of the fighting game For Honor. But a lackluster Tom Clancy title (Ghost Recon: Wildlands) and uninspired boardgame adaptations (Uno, Monopoly) kept Ubisoft in the middle of the pack despite the overall improvement. Blame the competition: Sony fell three spots in our rankings this year despite actually boosting its average Metascore by four points. Still a PlayStation-exclusive publisher (after quitting the Vita business in 2015), Sony did launch one of 2017’s best-reviewed new IPs, Horizon Zero Dawn. And the company boosted its rate of positively reviewed games (i.e., those with green Metascores) from 43% in 2016 to over 50% last year. Square Enix released more scored games last year than all but one other publisher. Unfortunately, too few of them were good. The company fell six places in our rankings compared to a year ago—the biggest drop for any major publisher. Square Enix’s average Metascore fell by over three points, and its rate of positively reviewed games plummeted from 69% in 2016 to just 49% last year. The publisher’s recently launched indie gaming initiative, Square Enix Collective, also experienced a sophomore slump after a promising start in 2016. All of the Collective’s 2017 releases (such as Oh My Godheads, Deadbeat Heroes, and Black The Fall) met with disappointing reviews, save for one (Children of Zodiarcs). Out of the 12 companies on our “major” publisher list, only two released any negatively reviewed games last year. One of those was Bandai Namco, which released a dud in the form of a Power Rangers-branded beat-em-up that received a red Metascore on two different platforms. That said, Bandai actually improved its performance compared to the prior year, raising its percentage of games with green Metascores from 39% to 51% as well as upping its overall average score. In last year’s rankings, Koei Tecmo was in the mid-size publishers group rather than the majors, but its placement was about the same as this year: near the bottom of the pack. The publisher actually boosted its average Metascore a bit while eliminating any negatively reviewed releases, though its percentage of games with positive reviews dropped from an already low 25% down to just 20%. Nippon Ichi Software’s U.S. branch finished near the middle of our mid-sized group in last year’s rankings but lands near the very bottom of our major publisher group this year thanks to an increased number of releases and a falling average Metascore. NIS had more negatively reviewed products (three) than any other major in 2017. Episodic adventure specialist Telltale actually finished as the #2-ranked major publisher just two years ago. Last year, the fell to #9, and this year it completes its slide by placing dead last, though it’s average Metascore didn’t change much. The last-place finish is mainly attributed to Telltale’s lack of good releases: just 12% of its products last year received positive reviews, by far the lowest success rate of any of the major publishers. Telltale was also the only publisher to not have a game break the 80 mark in 2017. Each of the “mid-size” publishers listed below released between 6-11 distinct titles in 2016. They are ranked according to the exact same methodology we used to rank the larger publishers above, earning points for average Metascore, % of releases that earn positive or negative reviews, and the total number of great games. The California-based publisher/developer was unranked a year ago, but released enough games in 2017—mainly Nintendo Switch ports of previously released games—to qualify for this year’s chart, where it takes first place by one-tenth of one point. Its top release was the Switch port of Cave Story+. Last year’s #1-ranked mid-size publisher missed repeating at the top of this year’s chart by the tiniest of margins (due to an ever so slightly lower percentage of games with positive reviews than Nicalis), though it did have the highest average Metascore of any publisher in 2017. Paradox continued to release expansions and ports for its hit Cities: Skylines, though its best game last year was the console port of Pillars of Eternity. Rising six spots in our mid-size chart compared to a year ago, the Texas-based publisher known for its sense of humor had a good 2017 even as it increased its number of games published. Devolver’s top performer was its first release for the Switch, Enter the Gungeon. Warner’s game publishing division saw its rank actually improve by one spot despite a year-over-year drop in its average Metascore. About half its games received positive reviews, led by the DC Comics fighting game Injustice 2. But duds included games tying into the films Cars 3 and The LEGO NINJAGO Movie. EA normally lands in our major publishers list (a year ago, in fact, it ranked #1 on that list), but a decreased release slate in 2017 led to a demotion to our mid-size publishers chart. Speaking of decreases, EA’s Metascore average fell precipitously last year, and the publisher’s rate of critically approved games plunged from 79% to just 48%. (Metacritic users, meanwhile, trashed almost all of EA’s releases.) The company’s many 2017 disappointments included Need for Speed Payback and Star Wars Battlefront II. EA’s best game last year? FIFA 18. Though Daedalic’s 2017 stats pretty much matched its 2016 numbers (save for an increase in the number of titles published last year), the publisher actually rose four spots in our chart, attributable mainly to lesser competition this past year. Daedalic’s highest-scoring 2017 release was Shadow Tactics: Blades of the Shogun. Take-Two occasionally lands in our major publishers chart, but a year ago it was also found here among the mid-size companies, where it placed 4th. Its 2017 slate was smaller and more lackluster, with its major highlight being an XCOM 2 expansion pack. But 2018 could be better for the company, as its usually high-scoring Rockstar Games unit will have its first major new release in several years (Red Dead Redemption 2) this fall. Microsoft dropped nine places compared to a year ago, and failed to launch any promising new properties in 2017. Though the company did release some high-scoring titles, even that group looked stale, as it included a few Forza racers and yet another port of Minecraft (for the Switch). In its first full year under its new name, the company formerly known as Nordic Games didn’t release any truly terrible games. But it only received positive reviews for one out of every four 2017 products. Unranked a year ago, the Bay Area’s Maximum Games appeared to put in a minimum effort in selecting games to release in 2017. It was the only publisher with a Metascore average in the red range (below 50). Two-thirds of its releases were negatively reviewed by critics, including two different titles scoring an abysmal 27 (Troll and I and Road Rage). Maximum’s sole positively reviewed product last year was the PS4 version of The Golf Club 2.